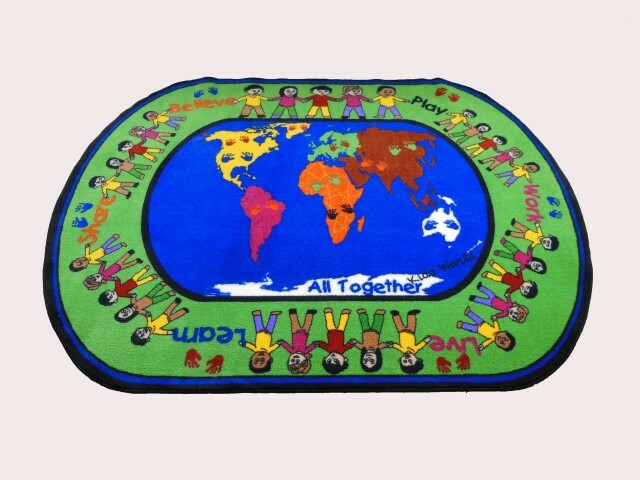 Kids World Carpets-All Together Children's Educational Rug is soft, durable, colorful and educational, and recommended for using in classrooms,kids playrooms and any waiting areas/rooms frequented by children. Shipping: This item will ship from Resaca,GA via FedEx ( large items are shipped via truck) within 2-3 business days. 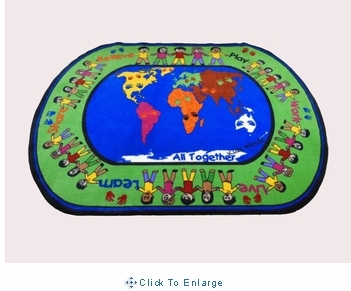 Kids World Carpets are covered under a limited one year manufacturer's warranty.